Tri Tools portable machine and welding products, built for tomorrow, are Safer by Design. We are always looking to buy more Tri-Tool bits! 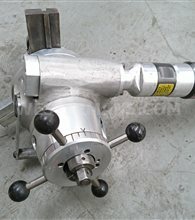 To make your work easier and more productive, Tri Tool supports you with industry-proven products and services in the following industries: Plant Maintenance, Energy Generation, Process Piping, Semiconductor, Pharmaceutical, Government, Oil & Gas, Construction, Ship Building, Decommissioning, Nuclear. Building the first products in a garage, Tri Tool’s corporate facilities now encompass a 128,000 square foot state-of-the-art manufacturing facility on 11 acres of land and has three locations strategically placed throughout the United States. Since the 70's Tri Tool has delivered on the winning combination of precision, performance and people: precision engineering; proven performance and innovation, and people who will always find a way to solve a customer’s problem, no matter how challenging. Today, Tri Tool enters a new era of delivering on safety. The newest portable machine and welding products, building for tomorrow, are Safer by Design: Safer to use without sacrificing all of the precision, power and performance you have come to expect from the world’s leading designer and manufacturer of precision portable machine tools, automatic welding machines, pipe beveling machines and pipeline facing machines. Tri-Tool products ensure that you can do your job effectively, efficiently and safely whether that be for the offshore or onshore pipe construction, power, high purity, or the industrial plant maintenance markets.